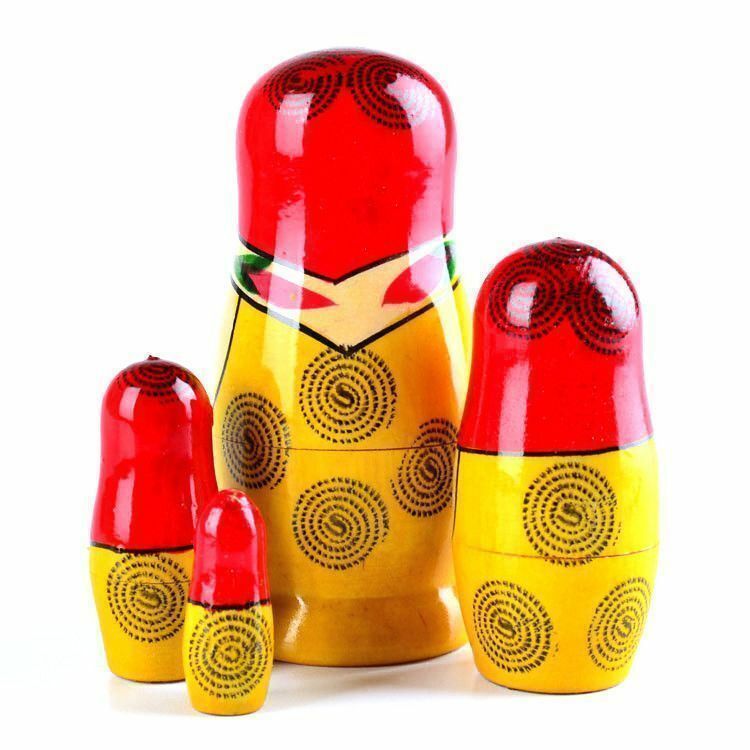 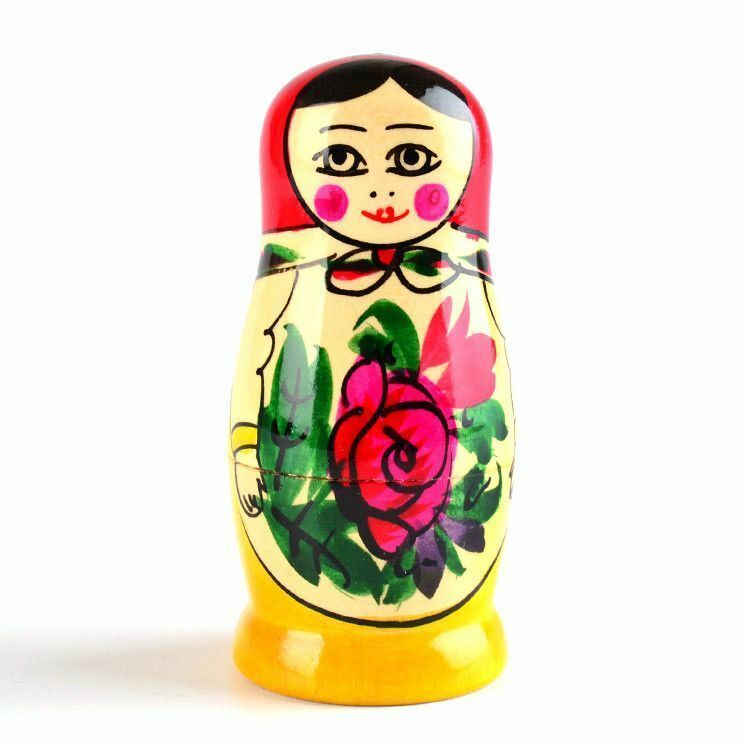 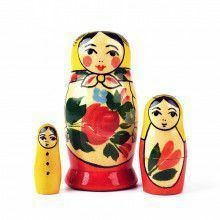 This 4 piece nesting doll is a classic symbol of traditional Russian folk art. 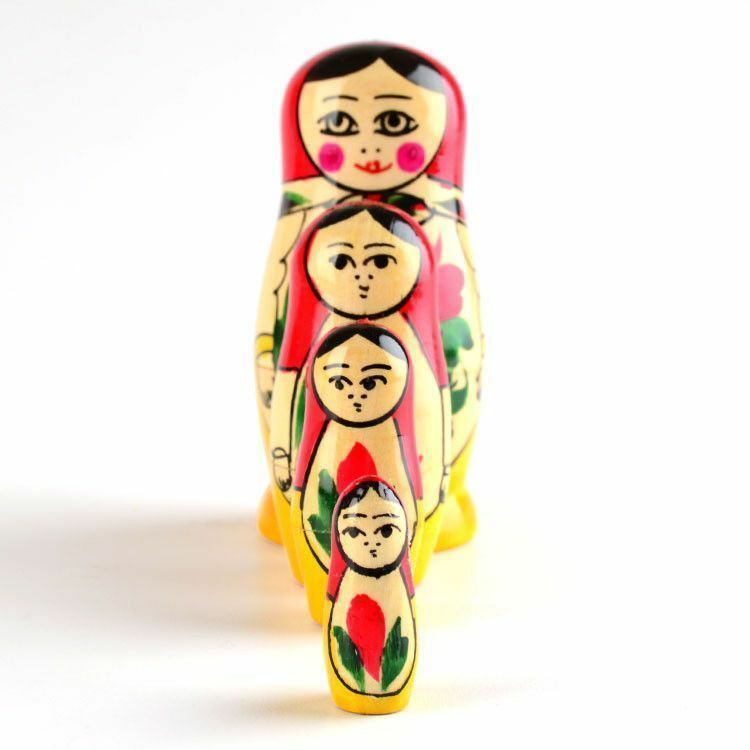 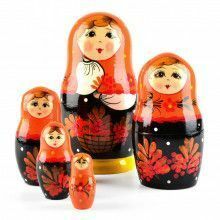 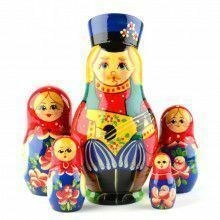 In Russian, the word "Matryoshka" is associated with fertility and motherhood. 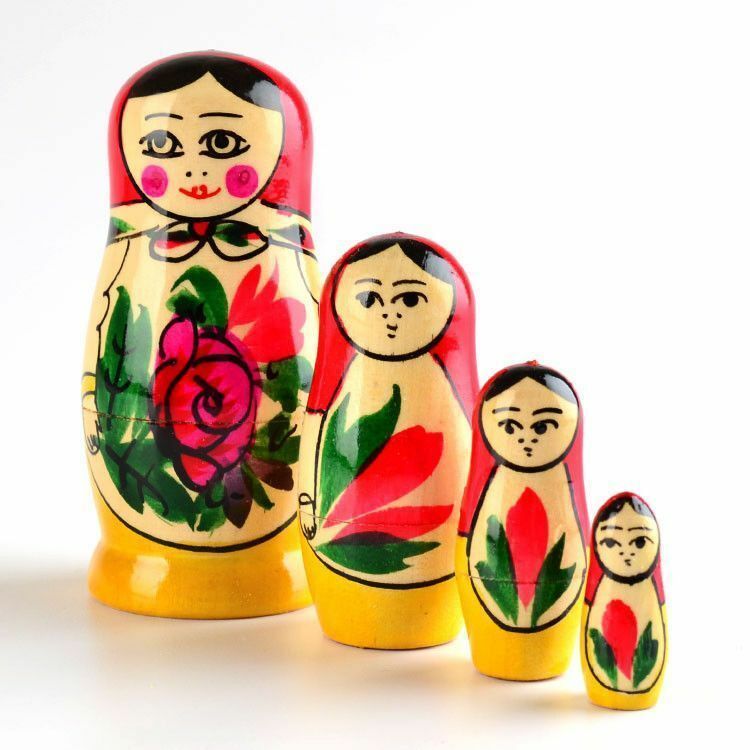 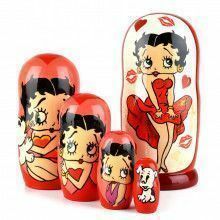 That is why the many of the first Matryoshka dolls utilized the image of portly, chubby-cheeked mother on the outer doll with the likenesses of her numerous children painted on the smaller inner dolls. 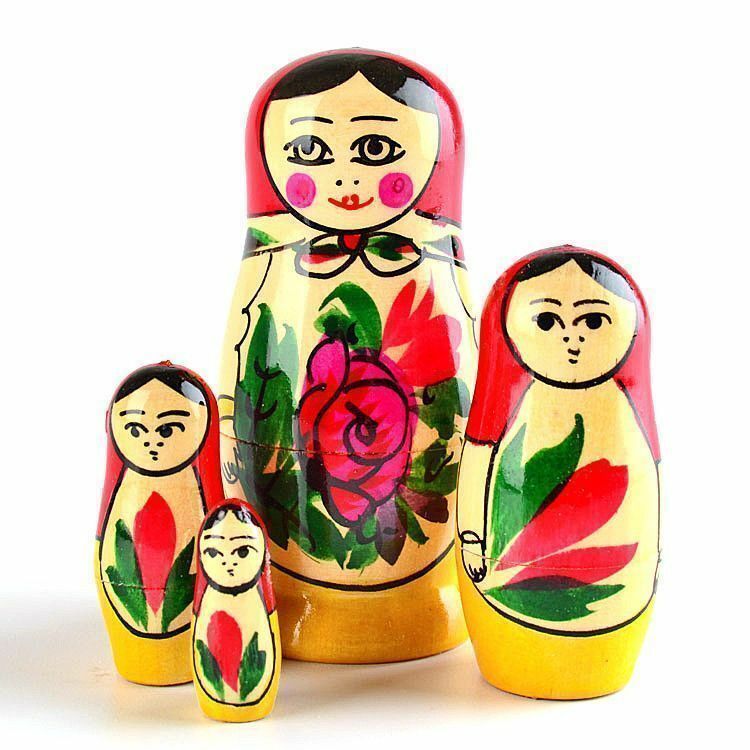 Today, when artists are painting a variety of subjects, the image of the robust and cheerful mother is still one of the most popular, as well as the "red roses" theme. 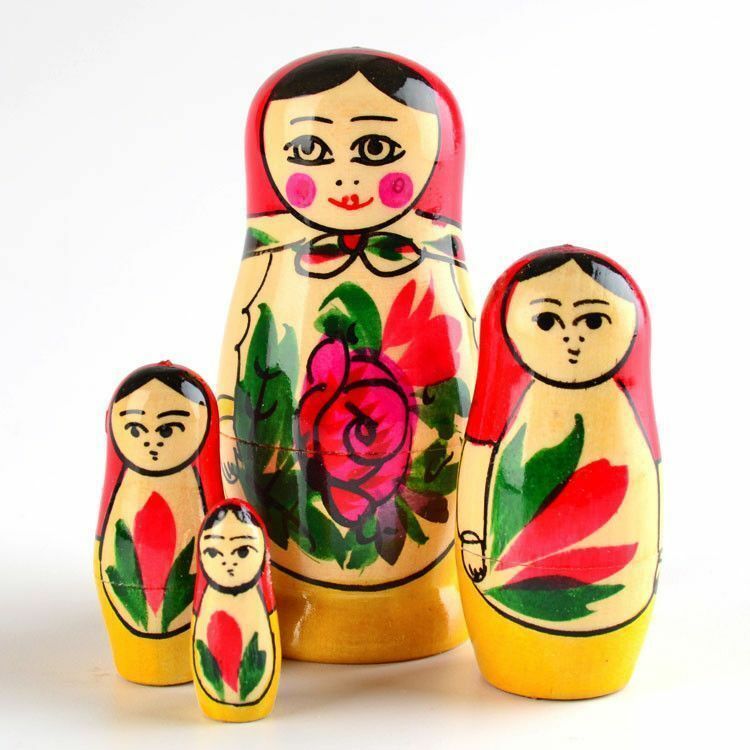 Hand crafted - Faces, colors, and designs may vary.